I'm telling you SAD party, or be like me and have your comic's anniversary on February 14th giving you an excuse to stay home and draw stuff on a Friday night! I think "It's cool, no big" would also be a good heart. 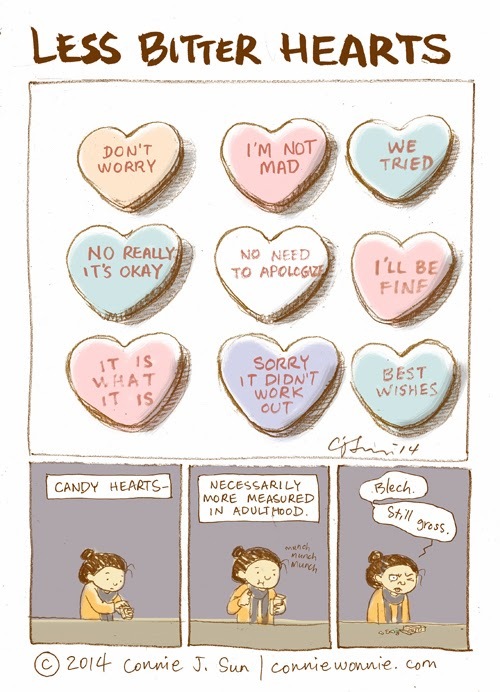 Meanwhile, I've always wondered what the flavor of candy hearts are supposed to be. Not what they are, but what someone thought the flavor should be.